And I thought . . . What a lovely collection of stories. I really enjoyed each one. Every story was sweet and touching and romantic. I enjoyed this collection very much and was pleased to meet some new authors! This is a great collection of stories for your summer reading. I recommend with 5 Stars! I received a complimentary copy of Kiss The Bride from BookLook and Zondervan in exchange for my honest review. A little about the book . 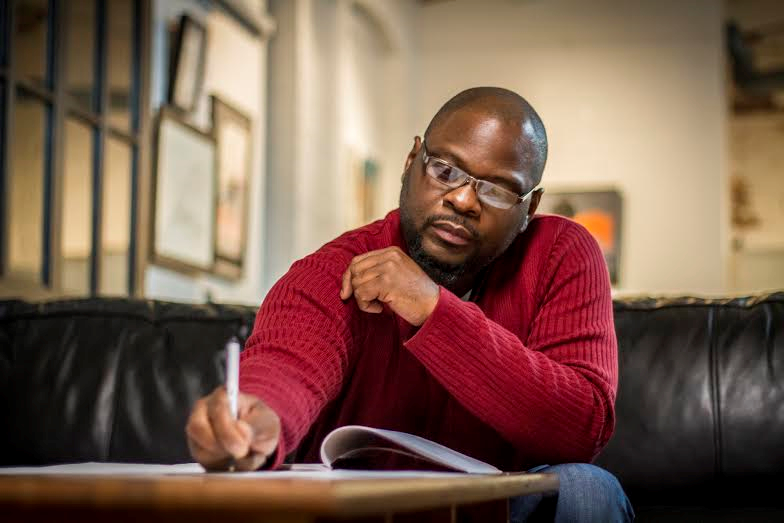 . .
Tell us a bit about the story behind your latest novel. Where did you find inspiration? I wanted to write a story about a young woman who in spite of devastating hardships, disappointments, personal loss and mistakes, ultimately finds happiness after reconnecting with family and faith. 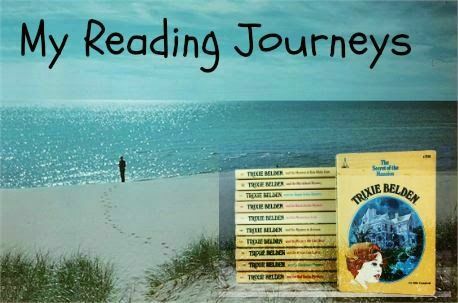 I wanted the reader to take the journey with her, go with her through some of the hardships, but I didn’t want the painful things to be the focus of her triumphant story. Lily Rose has an indomitable spirit and warm heart that is endearing to readers. Her father believed that she would be alright; the reader wants to know she will be too. With my roots firmly planted in Georgia, the setting had to play a critical part in the story. So, I modeled my fictional town after so many small Southern towns and I set in some of my love of nature and gardening. Being a Southerner, I had definite ideas about elements I needed for this story to come alive. 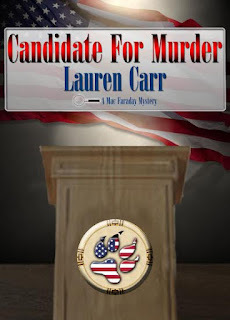 Besides fascinating characters and a distinctive setting, there had to be a little crazy, eccentric, and some downright meanness, mixed with suspense, romance, and lots of southern charm. What was the hardest part about writing your novel: Getting started? Keeping it going? Finding the perfect ending? The perfect ending was easy, and I never ran out of things to write. But there was a part of the story that was hard to write – the marriage relationship. I didn’t want their disappointing marriage to overwhelm the story. What trait do you love most about your main character? 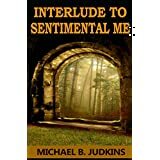 My main character is warm-hearted with an indomitable spirit. I love that about her. When readers get to the last page, what do you hope they take away from the story? After first few chapters I really got into the story. I was for me a little confusing at first going from present to the past. And a little slow going reading through the backstory of college years and romance leading to the main story line. The main story line of the book is about Lily Rose and her attempts to turn her life around after going through and emotionally and abusive marriage. Miss Chandler did an excellent job of bringing a hard subject to life without being graphic or overly violent. However this is a story for a mature reader. Although it is not graphic the topic is for adults. It truly is a book of facing ones circumstances and struggling through to survive and thrive. There is a little romance too. And a happy ending. 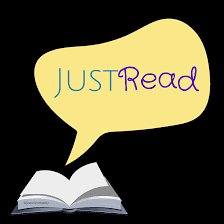 I enjoyed reading My Father's House and gladly give it my 5 star rating. This review is posted on Amazon, CBC, Barnes and Noble and Good Reads. A children's video. 3 complete episodes. The Fire (from the publisher) episode 1. . .The Professor sends the owls to an ancient refinery to learn about pure gold and discover three ways God is like fire. Recap presented by Ben Stuart, the Executive Director of Breakaway Ministries. The KEY VERSE is Hebrews 12:28-29! What I thought--I enjoyed this episode. I thought it was interesting and cool that they brought science into the story. Not only is the message about how God is like fire there is an underlying message of forgiveness. was the voice of 'The Duck'. This video collection is an excellent source for parents. The storyline and the message in each episode is a great tool for sharing God's message with our little ones and is appropriate for a wide variety of age levels. My thanks to FishFlix for providing me with a complimentary copy. A complimentary review copy and a giveaway copy of Owlegories Vol. 3 was provided by FishFlix in exchange for my honest review. Great story. I really enjoyed this one. It is book 3 in series. But you don't have to read the other two. They all stand alone and each one draws you in and you want to stay in Lancaster County awhile. That's what happened to me. Not convinced? Watch the trailer . . . Here's the synopsis from the back cover. . . I have to agree it is beautifully written. The are twists and turns in the story that surprise and keep you interested. For this reader I am drawn into the story and wanting more. I was happy and pleased with the ending but I wanted more! I said the same thing about the other two books. Here's a link to the authors blog for more info. 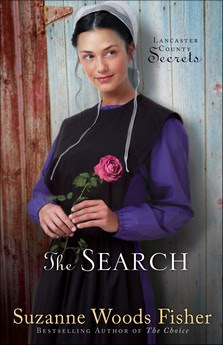 about The Search and her other books. The Secret by Suzanne Woods Fisher deserves my 5 star rating. opinions I have expressed are my own. I am disclosing this in accordance with the Federal Trade Commission’s 16 CFR, Part 255: “Guides Concerning the Use of Endorsements and Testimonials in Advertising. The review is posted at Amazon, CBC, Barnes and Noble and Good Reads. The darling cover illustration is the invitation to more wonderful stories from the Old and New Testament. Resources to Guide Your Children... a few of the included resources are The 23 Psalm, The Ten Commandments, The Lord's Prayer, Songs about Jesus and a Prayer of Salvation. A selection of verses from the Old and New Testament to memorize and a chart for recording. Only one negative that I have to say is I think maybe the title is a little bit confusing. I think a better tittle would have been A Young Reader's Bible. Because, I was thinking Kindergarten, 1st grade age. But, I think it is really more geared to 2 or 3rd graders maybe even 4th graders. The font is a little small I think for a beginning reader. Would this particular negative (in my opinion) keep me from purchasing this book. Absolutely not. I think it is wonderfully put together and recommend it for anyone. It would make a great gift for your child. Thank you BookSneeze for allowing us the opportunity to review this Bible. It has become a favorite in our family and deserves . . .
A huge thumbs up! And 5 Stars! 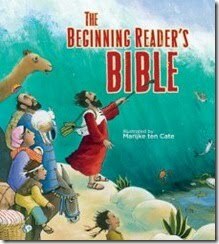 This Bible was originally reviewed and posted in 2011 on my previous book review blog. 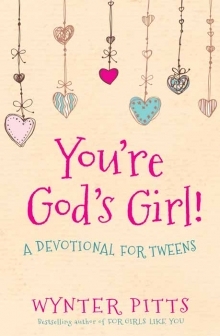 n to more Resources to Guide Your Children... a few of the included resources are The Ten Commandments, The 23 Psalm, The Lord's Prayer Songs about Jesus and a Prayer of Salvation. About the book (from the publisher) . . .
Who is the real you? You might be surprised to find out it’s not who others say you are and it’s not even who you might think you are. Only God knows and He wants to show you! Daily devotions written directly to your heart will help you discover God’s truth—who He made you to be, how unique and special you are, and how you fit into your world. There’s nothing more gorgeous than walking hand in hand with God, modeling kindness, obedience, and faithfulness. And there’s no more awesome way to start your day than with God’s power-packed promises. Do you want to be an original in a world full of followers? Then get ready to have your best day ever! See yourself through God’s eyes and allow His truth to make a difference in your life. The real you, the true you, is amazing! I was impressed. The daily devotions were easy to read and perfect for this age group. The devotions are short 1-2 pages with questions for thought and a pray at the end of each. This is one you will definitely want to check out. It would be perfect for a gift for your daughter at the end of summer. Just in time for back to school. This book will not be available for sale until August 1. There is an option to pre-order. Check the usual sites linked below. 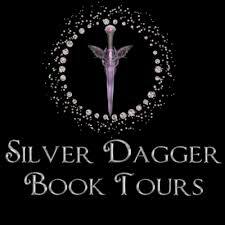 This review will be posted on Good Reads and linked at blog parties, Facebook, Pinterest, and Instagram. This review will be posted on Amazon, Barnes and Noble and CBC. Light hearted. Fun summer Romance. What it's about (from the publisher) . . .
And I thought . . . I was delighted with this fun summer read. I really enjoyed the storyline and setting. It was interesting to read about the start of a resturant. I haven't had the opportunity to read about a chef. Or anything about boats. The San Francisco setting was really interesting. This story wasn't really your typical romance. Leo the male main character is already engaged leaving Tia disappointed. But as the couple (that's not a couple yet) begin working together they develop feelings for each other. All ends well as Leo and his fiancee realize that they had 'rushed' into getting engaged. An there is a happily ever after. This was an easy book to read. I was kept entertained from the beginning to the end. I wasn't able to put it down so it was a fast read. It's nice to read a book that is just a simple story with no twists and turns. With just a few simple characters. I would recommend All Summer Long to young and mature readers. There is no language. And no romance scenes. I give Melody Carlson my thumbs up. And All Summer Long 5 big 'ole stars. 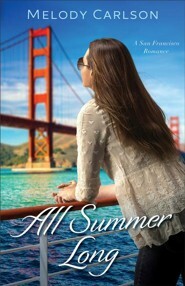 I received a complimentary copy of All Summer Long from Revell Booksin exchange for my honest opinion. This review is posted at Amazon, Barnes and Noble and CBC and Good Reads. This post is featured on Facebook, Pinterest and Twitter and linked at the following parties . . .